What makes real estate “the best investment on Earth” according to Louis Glickman? There are dozens of ways to invest, from the stock market to bonds and mutual fund, even gold. While everyone’s investment situation is unique, real estate is one investment that has stood the test of time and is what many agree to be a wise investment for your money. Here are just a few reasons why real estate is such a smart investment. A smart real estate purchase provides consistent, steady growth and increases in value over time. According to Investopedia, real estate provided an average return of 8.6% from 1978-2004. Not only that, you can do things to increase your return by adding value to your property. Buy an empty lot and build a beautiful home or renovate a run-down home on a great piece of land and watch your money multiply. There are so many ways to increase the value of your property; it’s just up to you. Like fortunebuilders.com points out, your own actions generally control your net earnings in real estate. The same can’t be said about the stock market. With real estate you have a certain amount of control over your investment. You can physically go to the property, see the house and pick up the dirt in your own two hands. With other investments, such as the stock market, you never see anything tangible, nor do you have very much control over it. If your stock is doing poorly, what can you do? Nothing, except cross your fingers and hope it rebounds. With real estate you not only have the tangible asset right there in front of you, you have control over it. If your property isn’t selling you can put some money in to it, finally install those granite countertops buyers are asking for, and put it back on the market. If dealing with tenants is eating up too much of your time, you can find a reputable property manager to handle tenants and any issues that arise, sparing your valuable time. Real estate allows you to be in the driver’s seat, unlike many other investments where you are a passive observer. 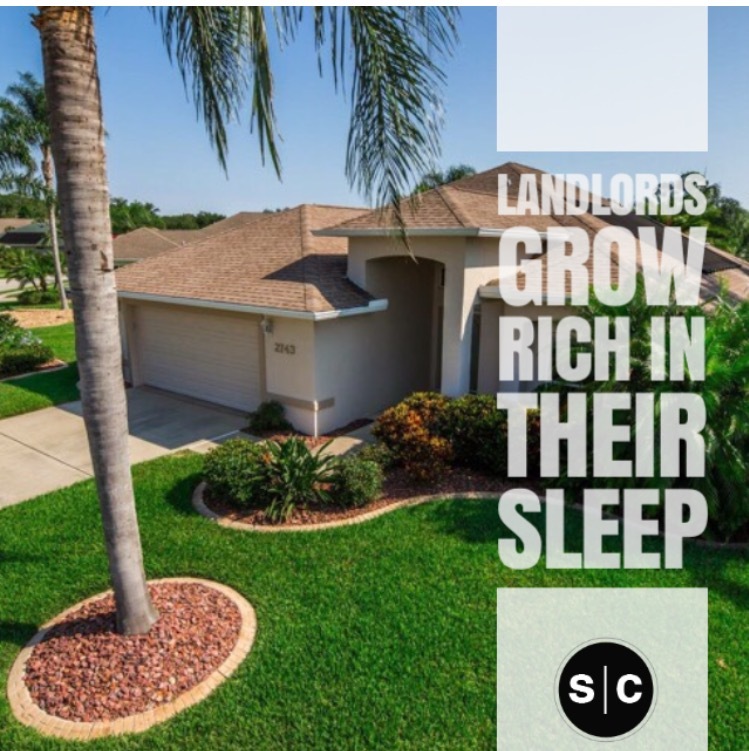 The saying goes that landlords make money in their sleep. It’s not just a nice thought, its true! While there are expenses when it comes to owning and renting out a property, when done right the rewards can far outweigh the negatives. Just look at the tax benefits. According to Turbo Tax, if you rent out your second home for 14 days or less over one year, your rental income is tax-free! That’s money right in your pocket just for giving up two weeks or less at your second home. And there are no limits. If you rent out your Daytona Beach condo during the Daytona 500 and make triple what a normal week would bring it, you still get to keep all that money, tax-free. Not to mention you get to enjoy your beach condo the rest of the year! While everyone should do their own research before jumping into any investment, real estate is a clearly an option that shouldn’t be overlooked. If I can assist you with finding a Florida investment property or vacation home, please contact me at sarah@sarahcaudill.com.